No matter how much we learn or think we know about photography and light, there’s always a new tip or trick to learn. And Jay P Morgan’s series on the Laws of Light has been packed with them. The series is up to 17 videos now, and the latest deals with a subject that many people find difficult, and that’s how to light glass. Glass can be a very tricky subject. But Jay P breaks it down into the bare basics in this video, showing you how you can light a drinking glass, by not actually lighting the glass, but by lighting the things that we can see through it. When photographing portraits in a studio, you can create many different looks using only one light. Depending on how you place it and how big it is, a softbox can significantly change the look and mood of your photos. In this video, Jay P Morgan discusses different factors of softbox placement. And when you learn how they affect your portraits, you’ll know exactly how to achieve the look you want. Lighting glossy metal objects can be really tricky when you incorporate them in photos. They don’t only reflect light in a pretty harsh way, but they also reflect the scene. 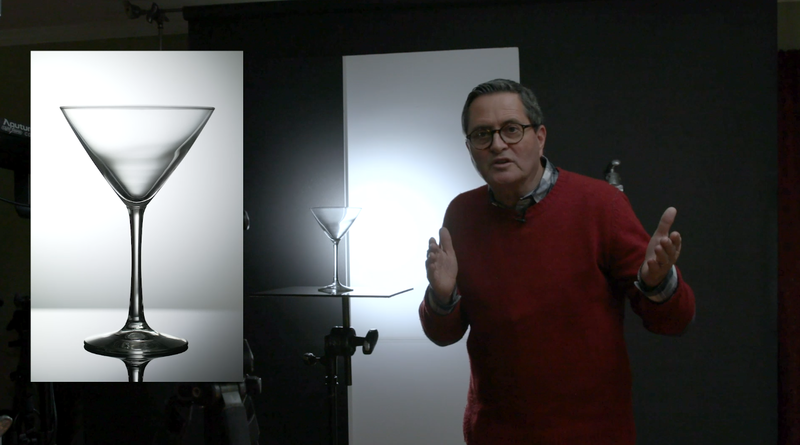 In this video, Jay P. Morgan teaches you how to light shiny metal objects so you make them look their best in your shots. He guides you through his setup and gives an example of lighting a BB gun in a studio. With Nikon and Canon finally entering the fray and the whole Panasonic/Sigma/Leica alliance thing, it’s starting to get quite exciting in the world of full frame mirrorless. It feels a lot like when DSLRs first came into existence. Of course, we didn’t have Facebook then, so people were more concerned with shooting than measuring. But these days, kit comparisons are inevitable, especially with the rate at which technology is advancing and new products are being released. In this video, Jay P Morgan looks at the Nikon Z6 and Sony A7III cameras. On paper, they’re pretty close, with both cameras having some slight advantages over the other in certain areas. Some of Jay’s results, though, are quite surprising. One of the biggest issues when it comes to continuous LED lights is power. For photographers, they’re just nowhere near as bright as strobes, and for filmmakers, they want to know that they can replace their high power hot lights that they’ve been using for years. But LED manufacturers are often quite vague or confusing with their light output. It’s not intentional, there’s just not really an easy universal standard when it comes to comparing constantly evolving LED technology with tried and tested hot lights. So, in this video, Jay P Morgan looks at some of the more powerful LED lights on the market to see how they really stand up to traditional hot lights. If you’re new to film, pushing and pulling it when developing is a bit like ramping the exposure slider up or down in Adobe Camera Raw or Lightroom. Except, here you’re doing it with a purpose when you shoot. Sometimes it’s for technical reasons. At other times, it’s purely an artistic choice. In this video, Jay P Morgan at The Slanted Lens tells us all about the how, when and why to pushing and pulling film. As you might know, food photographers use a wide range of (sometimes weird) tricks to make food look more appetizing. In this video, Jay P. Morgan hosts food photographer Ed Rudolph. He shares ten tricks for styling food and drink to make it look fresh and delicious in your images. And this time, you won’t need to add shoe polish or shaving cream to your food.